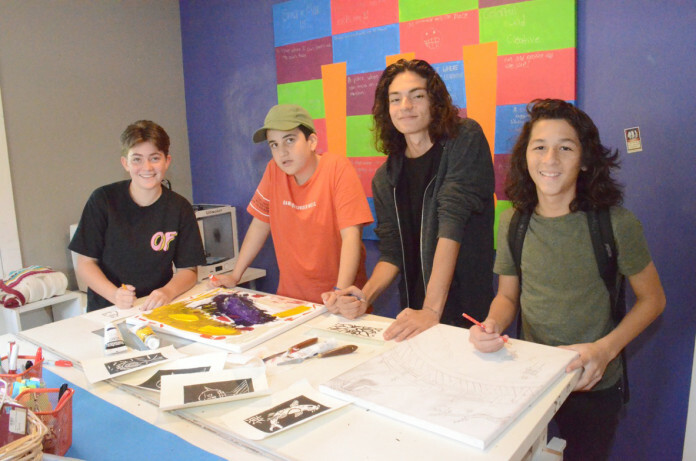 Students at Delray Beach’s Space of Mind school will debut their “Many Cultures: One World” exhibit at the Cornell Art Museum at Old School Square at 6 p.m. during the First Friday Art Walk on May 5. Visual art in 2D, 3D, photography and video as well as installation pieces, have been created by the 25 students in grades 3-12 based on exploring their cultural role in a changing global community. In addition, Rock Band & Music students will perform; WSOM will feature a live, man-on-the-street interview show; the Culinary Arts students will prepare and serve appetizers; and Mason Jar Munchies and Ocean Commotion Jewelry, both student-run enterprises, will be selling their products, along with pieces of the artwork. Other highlights of the exhibition and reception include the “We are the World” installation piece, video, and photo challenge; Creative Art pieces made by the students throughout the year including paintings and printed notecards; and samples of the Sustainable Kitchen Table eating plan for guests to take home. The exhibit will be on display through May 7. All art is available for purchase, and a percentage of proceeds will go to the artist, the UN Sustainable Development Goals program and to support programming at Space of Mind. 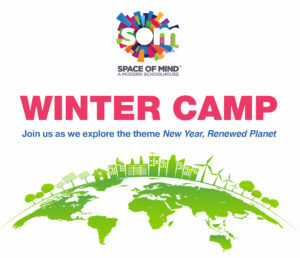 For more information, visit www.myspaceofmind.com or call 877-407-1122.